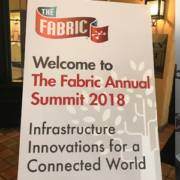 This year’s theme of The Fabric Summit was Infrastructure Innovations for a Connected World. Every year, The Summit attracts over 150 CxOs, investors, advisors, entrepreneurs. This year we surpassed these numbers. Rajan Raghavan, CEO of The Fabric spoke about The Fabric co creation model and shared the success of the first fund that started in 2012 and closed this year. 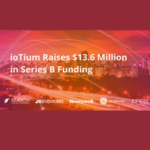 He shared that the first fund achieved a return placing it amongst the top 2% venture performers. 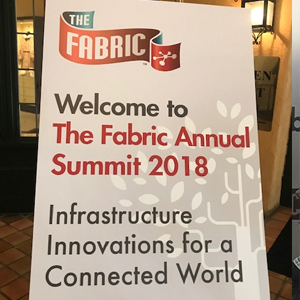 Prabakar Sundarrajan, Chief Scientist at The Fabric shared that Microservices, Edge computing and Blockchain infrastructure were the three technology areas being explored by The Fabric for co-creating new companies. Toby Redshaw, SVP, Verizon gave the first keynote speech. He laid out how billions of connected devices will long battery life using 5G networks will drive the ‘smarts’ in IOT. How the integration of SDNs, Cloud RAN, Deep Fiber and millimeter wave spectrum will deliver ultra-low latency and faster data speeds for AR/VR and multi-player games. If 4th industrial revolution is AR/VR/MR + AI + IoT + NextGen Cloud/Edge + 5G then Verizon is leading the pack. 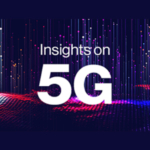 Toby invited startups to explore the 5G Labs being setup by Verizon to accelerate innovation using an outside-in approach. While Toby shared how a person handicapped in motor skills after a stroke can use AR/VR to train at home and bring back their dexterity using the capabilities enabled by 5G, Kartik Kumar, VP, Levi Strauss & Co. shared how Project F.L.X. (future led execution) connects with the need for self-expression and customization in the digital era. He shared how such projects are possible by saying no to monolithic code and moving to microservices and automation. Sumant Mandal from March Capital Partners shared the VC perspective on the industry trends.Sumant shared that fewer, but larger deals are taking place and capital availability is high. At the same time the average time to exit is around 6.1 years. He shared that the market temperature is heated and growth in cloud has greatly outpaced other industries. Three technology trends, cloud, AI and blockchain were driving flexibility, intelligence and trust into the core plumbing that will provide the base for fog/edge computing, IoT and multi-cloud solutions. I moderated a panel on IoT security with representation from academia, technology developers and implementors. Dr. Donald Reising from UTC started off by brining forth an analogy of security with moats and walls of a fort. Josh Nash of Microsoft built on the analogy and shared how security is not just at the perimeter but on every layer. He shared how security is not just HW or SW but HW + SW + services and discussed the 7 properties thesis of Microsoft’s work in this space. Dr. Rajive Joshi from RTI shared how it is as important to secure the data in motion within the pipe as the pipe itself. He shared of the work being done by industry consortiums to create standards like Industrial Internet Connectivity Framework and the Industrial IOT Security Framework. Ben Hendrick stressed the need for careful planning when going for IoT implementations. He emphasized the need for securing the IT as well as the OT networks.